She may have been young and pregnant, but Mariah had never been alone. Her grandfather had sent her off to Chicago and she had returned with a son, John James. Imagine her surprise when she also learned that she had a husband. At least according to the story her grandfather had concocted. She had gone off to Chicago, married, had a son, and her husband, Wes Burrows, had headed off to Alaska searching for gold. The ruse even came with a pen pal father. Her grandfather's friend in Alaska had used another man's name and postal box for years - writing to John James as a father would. She never expected Wes to learn of the deception, or to show up meaning to be a father to John James in truth. Which also meant that her "husband" had returned. Wes had grown up without any family. No grandparents, cousins, siblings, or even parents. He knew the pain of wondering what they were like, wanting to know why he wasn't wanted. He didn't want John James to have any of those feelings. He wanted John James to have more than an absentee father - but he obviously hadn't thought his plan all the way through. He was now ensconced in a close knit family who embraced him like a long lost son. He had a son, who truly wasn't his own, yet he quickly felt as if John James was his. And he had a wife, who wasn't even in name only, who distrusted his motives. Yet he found himself falling for her. He may have chosen not to come if he'd fully thought through his plan to be a father for John James, but he'd have made the worst mistake in his life if he had. 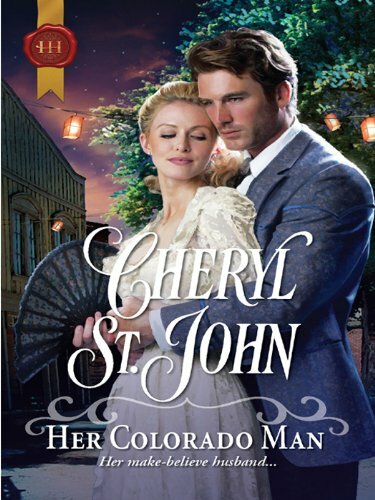 Her Colorado Man was an unexpected pleasing surprise. I had anticipated another, what I consider traditional, western romance. Yet this one had a blind secondary character, a single mother, insight into the Alaskan frontier, and an Exhibition. Never mind learning the business of a Brewery. It set for a fascinating backdrop to a tender romance. I loved not only watching Mariah thaw towards Wes and forgive him for forcing her to accept him into their lives, but also watching them fall in love and want to be husband and wife in truth. I will definitely keep an eye out for additional stories by Cheryl St. John. FTC Disclaimer: I did receive a copy from Cheryl St. John. However, this website only posts "good" reviews. If I cannot post a positive review, I notify whoever has provided me with the book/ARC/ebook.